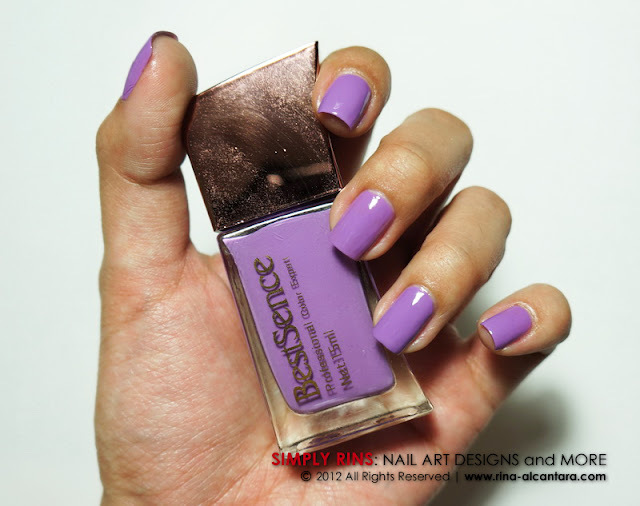 I had the privilege of trying a few nail polishes and a nail polish remover from Best Sence. I'd like to share with you my thoughts about these products. Best Sence is distributed by KKCenterhk, a company based in Hong Kong that aims to provide the latest and quality beauty products at affordable prices. They are currently establishing their presence online with the promise of offering the lowest online rates. KKCenterhk carries professional false eyelashes, wigs, and various nail products to name a few. Best Sence is only one of the many brands they support. 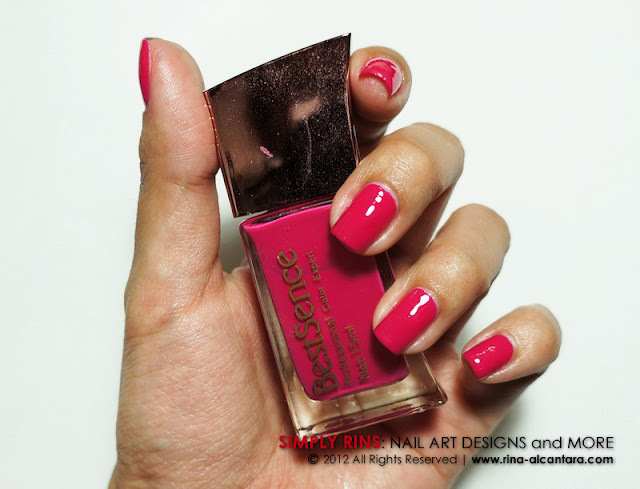 I was able to try the Best Sence Fancy-Color Glossy Nail Polish that actually consists of 3 bright colors in shades of pink, blue, and purple. Each nail lacquer comes in 15ml bottle of approximately 3in height, an inch wide, and almost 3/4in thick. The nail polish bottle is quite unique and the rectangular shape makes it easy to organize them in any helmer, not to mention less space consuming. Each one also comes with a relatively wide and flat polish brush that makes it easier to polish a nail in 3 strokes. I particularly like the shape of the bottle cap. It is different from the usual circular shape and I found the rectangular shape of these polish bottles easier to grip and control. On the other hand, I am not fond of the pointy corners. I wish I could tell you how safe these polishes are but I didn't find any labels on the bottle that listed the ingredients. I find this quite disappointing because I think it is important for consumers to know such details. Another problem I encountered with the polish bottle is that the caps don't really align with the body when firmly screwed, which I usually do on all my nail lacquers to maintain the consistency of the polishes. Best Sence No. 21 is shown here in 2 coats. It is a reddish pink shade and has a very shiny finish. Application is easy and almost opaque in 2 coatings. Best Sence No. 26 is viewed in above photo in 2 coatings. Application can be tricky due to thickness of polish consistency. Best Sence No. 02 is a light blue color. Application can be tricky because of the thick polish consistency. It is shown in 2 coatings in the photo. Can be a 3 coater for full opacity. 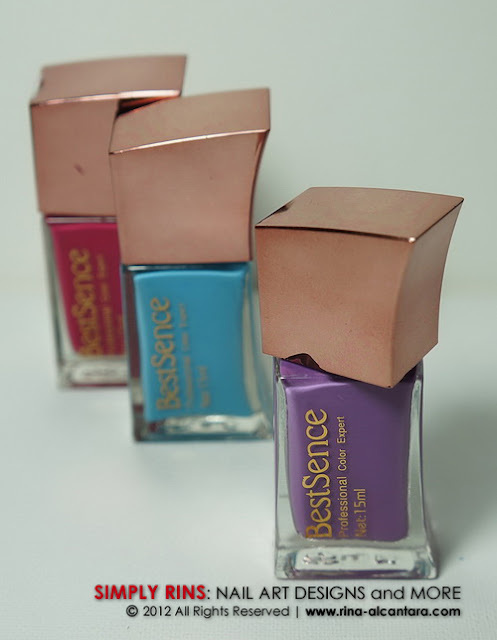 You can purchase the Best Sence Fancy-Color Glossy Nail Polish set for US$20.50 at KKCenterhk. 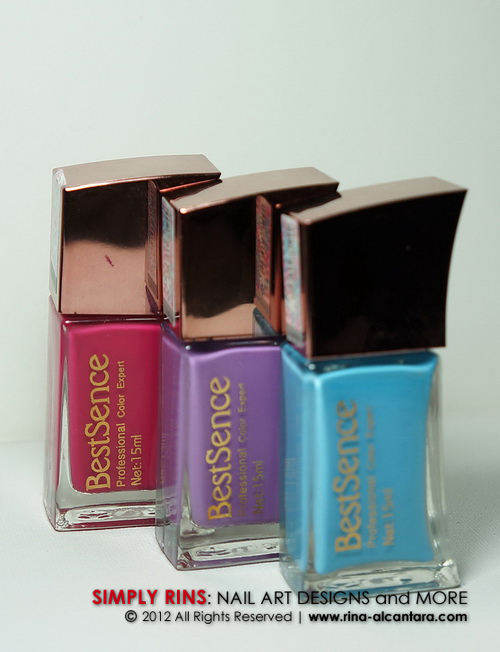 Browse the online store for more interesting 3-pc nail polish set. 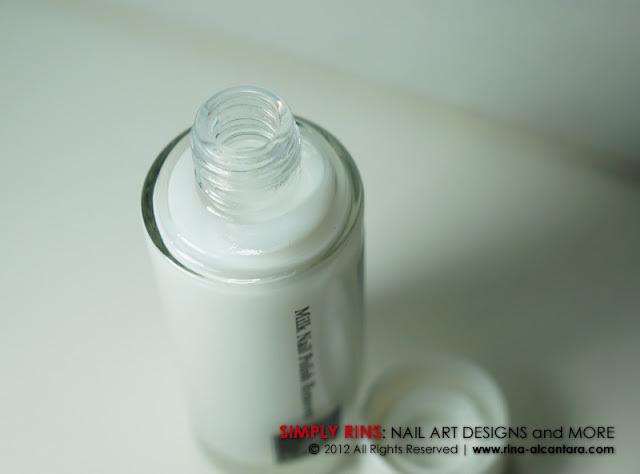 Along with the nail polishes was a bottle of Best Sence Milk Nail Care Polish Remover. The product promises to be mild and will not irritate the skin. This comes in a 55ml glass bottle and is approximately 5 inches in height. As its name suggests, it looks and smells like milk. I used it in between swatches and it quickly removed the polish with not much effort. The mild scent was gentle to the nose. You wouldn't have a problem working with this nail polish remover. There are 2 things I found problematic with the Milk Nail Care Polish Remover. First is that it is greasy. As I worked through each nail, it felt like working with oil. This is a disadvantage if you'd like to change your polish because you still need to remove the oiliness from your nails. Otherwise, any polish would not stick. 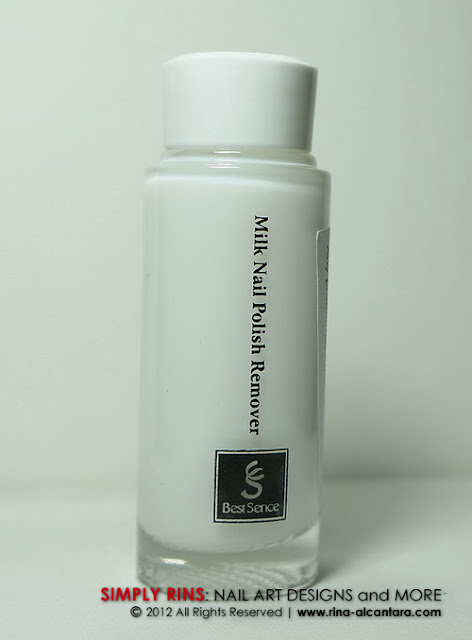 But if you will not immediately change your polish, the Milk Nail Care Polish Remover will leave your nails and skin moisturized. Another problem I encountered is that when it spills or touches any surface other than your nails and skin, the polish remover ruins it. I accidentally touched my mouse and mousepad with a cotton soaked with the Milk Nail Care Polish Remover and it instantly left a very sticky residue. I attempted to wash it off with soap and water and even alcohol but to my dismay. If you are going to use this product, make sure to be careful. 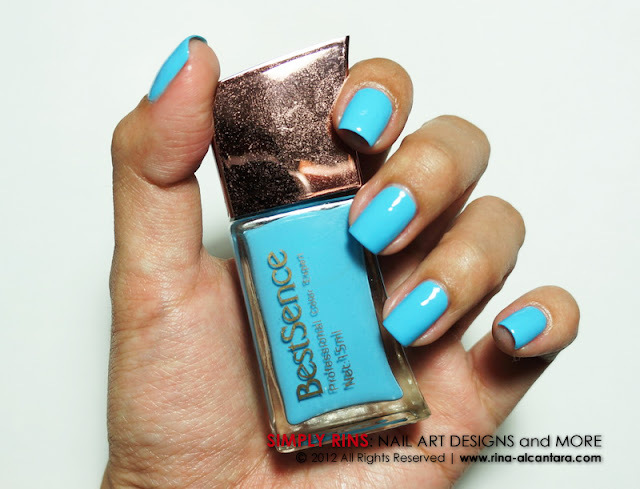 A bottle of Best Sence Milk Nail Care Polish Remover retails for US$7 each at KKCenterhk. Disclosure: All products included in this post were sent by KKCenterhk for consideration. I've never hear from this brand before, but damn, they've so pretty colors!! Wow! I love the colors....where can I buy this babies? Kitchen rebuilding on a tight spending plan isn't difficult to do, in spite of the fact that it is troublesome. In the event that you have a kitchen redesigning spending plan to take after then you better ensure you call for proficient help or if nothing else a book to control you. At whatever kitchen remodeling contractor westchester point individuals roll out huge improvements to their kitchen, it is constantly astute to request help from experts. Is the best for our fashion life. present time this nail polish and remover is making flowing technology. Technology was changing in our life.If also need any tv display to visit here tv display technology for a best tv. I really like this post. thanks for sharing.